Let's beat all those prejudice about street food menus! 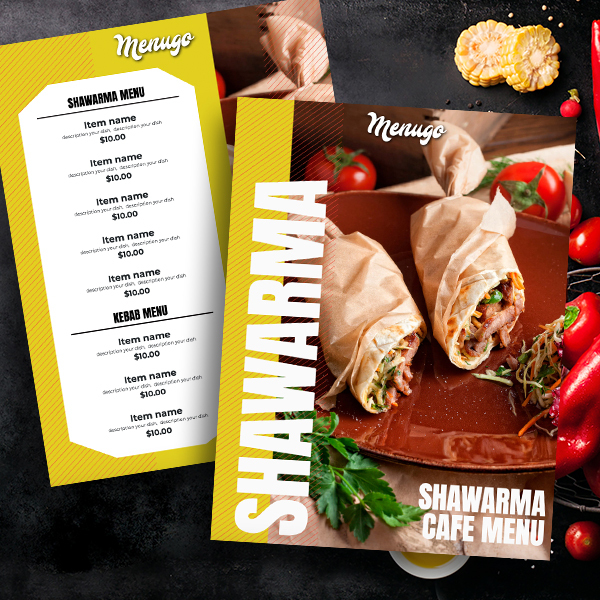 Because we've just created this stylish and simple at the same time Shawarma Street Food Menu template! Create the perfect food menu for your business!